Welcome to Legacy Pandorabots AIML 1.0 Platform! Pandorabots is a free open-source-based community webservice enabling you to develop and publish chatbots on the web (Read more details here). Pandorabots is the largest chatbot community on the internet. 166,000 registered bot masters have chosen to create more than 206,000 pandorabots ("chatbots") in multiple languages. Through June 2012, over 1.5 billion conversational interactions have occurred between clients and pandorabots, and this number increases rapidly (it can be seen near the top of the center of the Pandorabots home page). Pandorabots are used all over the web - enter the string "talk?botid=" into a Google search box to get the latest number of links. Pandorabots have been adapted to nearly every ecological niche on the internet. Pandorabots appear on web pages, in instant messaging, and respond to email and forum posts. They can be found in Second Life, in online games, and in social networks such as Facebook and Twitter. Increasingly pandorabots are turning up in mobile applications and texting. Pandorabots support marketing and advertising and are used in education. Pandorabots is under constant development and has a very large active community. Pandorabots adheres to open standards for chatbot publishing. To the extent possible Pandorabots itself has been constructed from open-source software. From any browser, you may create, design and publish your own software robots – and make them available to anyone via the Internet. If you already have an account, please sign-in to the left with your email address and password. Do you think it could win the Loebner Prize? If so, why not enter it in this year's Divabot contest? Pandorabots has developed a platform to submit multiple entries to the Loebner Contest. Although all our entries use the same platform, the AIML content of each entry differs substantially and each entry is created by a different botmaster. The Pandorabots Loebner Prize program implements all of the installation and communication requirements of the Loebner contest, allowing the botmasters to focus on developing creative bot content. We began experimenting with multiple pandorabot entries to the Loebner contest in 2010, when we submitted 3 entries (ALICE, Khloe and Mitsuku). In 2011 we added Tutor and, that year, two of our entries were finalists. In 2012 we added The Professor, for a total of 5 entries. 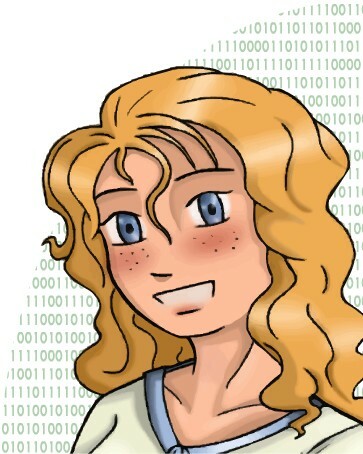 In 2013 we submitted six entries: Alice 2.0, Mitsuku, The Professor, Tutor. Izar and Zoe. Three of these, Mitsuku, Tutor and Izar were selected for the final round: three out four finalists in the contest were Pandorabots. One of these, Mitsuku by Steve Worswick, won the Loebner Prize. This year for the second time we are opening up the Pandorabots Loebner Contest program to the wider community. Our goal is to select a few of the highest-quality, original pandorabots for submission to the official Loebner Prize Contest. Selecting these high-quality pandorabots is the goal of the Divabot 2014 competition. Please note: This year's Divabot contest is limited to Pandorabots in order to pre-qualify pandorabot entries for the Loebner contest. Future Divabot contests will be open to bots based on other technologies. [September 16, 2013] - Congratulations to Steve Worswick—2013 Loebner Prize Winner!!! Hugh Loebner presented Steve with the bronze medal and the award check for $4000. ALICE, the original Pandorabot, won the Loebner contest three times previously. Several other Pandorabots, including Izar, Tutor, Zoe, and Mitsuku have competed in Loebner contests as finalists. In 2011 Tutor and Zoe tied for first place in the Junior Loebner contest. We are really pleased that another Pandorabot besides ALICE has now won the Loebner Prize. We believe this shows the strength of the underlying technology, Pandorabots and AIML, for creating award-winning chatbots. Lightning doesn’t just strike once on the ALICE bot! We would like to thank the contest judges for their participation in the event. The judges this year were Professor Mike McTear, Professor Eunice Ma, Professor Noel Sharky, and Professor Roger Schank. We would especially like to thank Professor Paul McKevitt of Ulster University, Magee Campus, for his superhuman efforts at organizing this year’s event. Loebner also announced that next year’s contest will be held agin in the UK at Bletchley Park, on November 15, 2014. You can also sign up for our premium services. Pandorabots offers shared and dedicated hosting services for you to create and host your own chatbot! Pandorabots developed a platform to submit multiple entries to the Loebner contest. The Pandorabots platform implements the Loebner contest communications protocol, freeing the botmasters to concentrate on creating original bot content. The three Pandorabot finalists were among the six we submitted this year. Each of the six bots was created by a different botmaster, and the content of each bot differs substantially from the others. 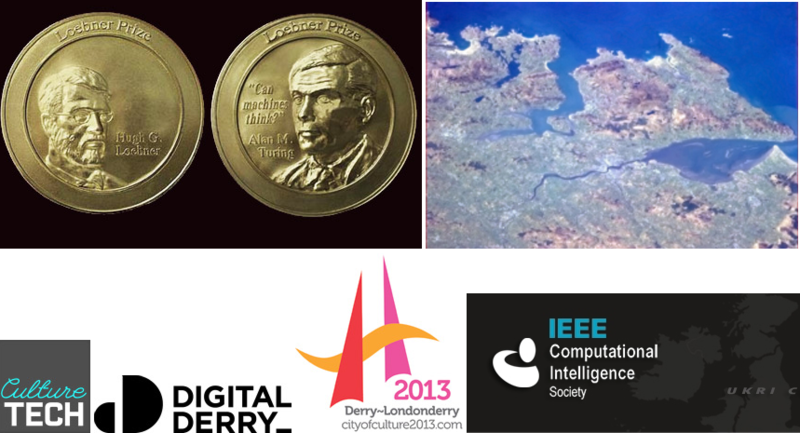 The final round of the Loebner Contest 2013 will be held at the University of Ulster in Londonderry, Northern Ireland on September 14. Until then, the contestants will be busy improving the quality of their bots. We wish each of the contestants the best of luck in the final round! This year's Divabot contest has come to a close after testing each bot with 25 questions over the last 5 days. Because we observed a clear divide between the top 3 scores and the remaining 3, the judges have decided to try to enter the top 3 winners to yhe Loebner Prize. Many congratulations to Ron C. Lee (Tutor), the Peter Lafferty (The Professor) and Brian Rigsby (Izar). We will be in touch with the winning botmasters shortly to explain the next step. Thanks to everyone who entered, keep working on your Pandorabots and hope to see you again next year. This year for the first time we are opening up the Pandorabots Loebner Contest program to the wider community. Our goal is to select a few of the highest-quality, original pandorabots for submission to the official Loebner Prize Contest. Selecting these high-quality pandorabots is the goal of the Divabot 2013 competition. The Chatbots 3.3 Conference will be held in Philadelphia on Saturday, March 23. The impressive lineup of topics includes mobile virtual assistants, psychiatrist chatbots, chatbot development, and a special "Ask the Lawyer" session. The speaker's roster also includes 3 former Loebner Prize winners. For the first time in 2013, the Chatbots conference will be broadcast live on Ustream.tv. Tune in Saturday, March 23 from 8am Eastern Time (US) to 5pm ET. Create an account on Ustream,tv or sign in with Facebook, and you will be able to submit questions live to the conference speakers. The Pandorabots free community server at www.pandorabots.com experienced a catastrophic failure on February 8. We have now restored the free Pandorabots community server at www.pandorabots.com. Due to a particularly catastrophic perfect storm of circumstances, not only did the server go down but all data was lost. We even lost the server that was providing backups. Thankfully we located a backup disk made in June 2011 and were able to rebuild the server from that date. As a result, the free community server available today is restored to a state from about two years ago. When you log onto the server, any changes made since June of 2011 will be missing. If you created an account after June 2011 you will have to recreate it (see Recovery Procedure below). When you log in to the server it will appear that all changes since June 2011 are missing-- this includes user accounts created, any password changes, any bots or AIML files created since then, and any modifications to AIML files or bot properties. We have current AIML files but we lack a way to automatically connect these files to specific bots in specific accounts (see Recovery Procedure below). The situation is not completely dire however. We have recovered a database of AIML files associated with particular botids. The botid is encoded in the URL for the published bot, for example the ALICE bot is published at http://www.pandorabots.com/pandora/talk?botid=f5d922d97e345aa1 indicating that the botid is f5d922d97e345aa1. These are hexadecimal numbers - meaning a number in base 16 - which means technically it is a string of digits and the letters a-f. We may be able to make further recovery of changes since 2011 provided that we can find the botids for the bots in your account. If you had an account on www.pandorabots.com prior to June 2011, log in to your account with your user id (email address) and the password you used before June 2011. If you changed your password since then, be sure to use your old password. Once you log in to your account you can change your password under the Profile tab. If you created an account after 2011, you should create a new account. You can use the same email id you used before. The botmasters who can recover lost data most easily are those who backed up their own AIML files. If you have your own personal backups of work you completed since 2011, simply upload the AIML files to the server and restore your bots. If you have no backups but know the botid of any bot for which you lost data, contact info@pandorabots.com and send us the botid. We will make every effort to try to restore your lost AIML files. The number just after the equal sign is the botid. into google and try to find your bot in the search results. This technique will work if you once published your bot or if you once visited your bot’s Summary page. You may have to add additional qualifier terms to narrow down the search results. For example, if your bot was called “Joebot”, try searching for “Joebot talk?botid”. The biggest lesson we’ve learned from this server crash incident is that it is extremely important to keep backups of work you do on Pandorabots. If you create a bot on Pandorabots, we strongly urge you to download your AIML files and maintain your own backup store. [This advice applies all web services from the largest to the smallest. No company, no software, no server is completely safe from catastrophic failures.] We at Pandorabots will certainly be trying even harder to prevent another future catastrophe, but because the service is free, we make no guarantees about backing up or restoring data on our community server. If you require a greater degree of reliability and server performance, please have a look at the Pandorabots hosting services described in our Comparison Table. Are you creating a chatbot or virtual assistant? Do you want to integrate an artificial intelligence character into a game, virtual world, website or mobile app? Have you ever wanted to create your own totally unique custom bot character, as smart as Siri, Jeannie, ALICE or Mitsuku, but with a completely different personality? Where do you start? The ALICE AI Foundation has released a totally new, upgraded version of the Superbot development kit. You can use the Superbot to develop a unique bot personality that runs on Pandorabots, or even on another AIML interpreter. The Superbot makes the process of creating a new character much more productive and efficient. Many people developing intelligent mobile virtual assistants have run up against the "content wall", meaning that they realize creating a custom chatbot character requires writing a lot of original content. The Superbot 3.0 development kit provides a ladder to help virtual assistant developers scale the content wall. By providing a blank template for creating a unique AIML bot, the Superbot makes it possible to create a custom character by "filling in the blanks". The AIML Superbot allows you to edit your AIML files in a spreadsheet editor such as Excel. You can sort the AIML knowledge base by activation count, <pattern>, <that>, <topic>, <template> or filename. You can choose to keep the supplied default responses, or write your own. Whether you are developing a chatbot character for a website, mobile app, game, virtual world or other application, the Superbot simplifies the task of creative content development. The Superbot also includes a sample file of the top 10,000 inputs recorded in chat logs. Even if you are building a bot with a different technology than AIML, this sample set is an invaluable resource for guiding development and testing your bot. During the past year, especially since the launch of Apple's Siri, there has been an explosion of activity around mobile virtual assistants. Generally these apps provide useful information, help you communicate and schedule activities, and manage your information through voice activated, natural language commands. To make these apps truly conversational and to give them real personalities, many of their developers have turned to chatbot technologies and Pandorabots web service specifically. Pandorabots is proud to host the bots behind many of the most popular mobile assistants. Pannous Voice Actions (also known as Jeannie), with more than 2 million downloads, can answer questions, send emails, voice dial your contacts, set alarms, reminders, play music automatically and much more. With Voice Actions you will no longer need to memorize special keywords or phrases, simply speak into your smartphone and voice actions will automatically respond to what you need. Pannous is always enhancing their product and you will see great new features in the future to come! Skyvi knows everything from Local Businesses to Celebrities. She can text and call friends, find places, make witty remarks and even tells jokes. Skyvi can update Facebook and Twitter. The makers of Skyvi say, "we know it's not perfect, but we're working hard to make it better than Siri!" Dexetra's Iris, with more than a million downloads, makes your phone talk on topics ranging from Mozart to stock prices. A product that started out as a tongue-in-cheek reply to iPhone's Siri, iris. has grown much bigger than being just a Siri clone. Just ask Iris whatever you want to know. Iris can answer anything from asking how to cope up with your breakup to movie recommendations and questions on science, culture and history. Pandorabots own CallMom app is a mobile, voice-activated personal assistant that can have a conversation, dial a number, send an email or SMS message, learn contacts, provide help with the app, search the web, open a URL in a browser, read data from web services, check battery status, give directions and find a location on the map -- all through natural language, voice commands. Unlike other virtual assistant apps, we've made the CallMom knowledge base completely open source. Hosted on a Google Code project, the CallMom AIML is freely available to anyone wishing to create his own custom CallMom personality. We've already attracted a significant body of contributions to this resource from our AIML development community. The code for the CallMom is also available as a library, and we've built a couple of apps, English Tutor and Louise Cypher, that are variants of the CallMom app and implement the same basic functions. English Tutor is specifically designed to help non native English speakers practise their conversational skills. Louise Cypher is a sophisticated personality with a very unique back story--a free app well worth checking out!. Pandorabots provides a (free) Community Server at www.pandorabots.com. This server is intended for botmasters to experiment with new AIML bots that use limited resources. The Community Server is home to more than 200,000 bots created by more than 166,000 botmasters. Pandorabots has served more than 1.5 billion interactions. Please remember you are sharing resources with all these pandorabots and their botmasters. If the Community Server resource limitations are inadequate, please contact Pandorabots at info@pandorabots.com to learn about our other alternatives. Use of automated scripts to make your pandorabot talk to itself or another bot or script. If you need more resources, please contact info@pandorabots.com. Pandorabots is pleased to announce the release of our new CallMom app for Android. CallMom is a mobile, voice-activated personal assistant that can have a conversation, dial a number, send an email or SMS message, learn contacts, provide help with the app, search the web, open a URL in a browser, read data from web services, check battery status, give directions and find a location on the map -- all through natural langauge, voice commands. Unlike other virtual assistant apps for Android and iPhone, CallMom includes a learning feature so that it can learn your personal preferences and contacts, and be taught to correct speech recognition errors. CallMom can be connected to a variety of pandorabot personalities, including ALICE, Mitsuku, Zoe, Fake Captain Kirk and others. The CallMom app utilizes Pandorabots to respond to natural langauge inputs. The knowledge content is written in AIML (Artificial Intelligence Markup Language) and the responses are completely customizable. In what represents the first major extension to the AIML language in years, we've created a set of AIML tags called "Out of Band" (OOB) tags to process device actions. Also unlike other virtual assistant apps, we've made the CallMom knowledge base completely open source. Hosted on a Google Code project, the CallMom AIML is freely available to anyone wishing to create his own custom CallMom personality. We've already attracted a significant body of contributions to this resource from our AIML development community. CallMom is now available free in the Android Market, with limited learning features. A premium upgrade is underway which will make the learned knowledge persistent. Create an account on the Free Community Server (at www.pandorabots.com). You can create an account on our free server www.pandorabots.com to develop and test your pandorabot, but when it goes â€œliveâ€ you will quickly use up too much of the Free Community Server resources. So when you are ready to go live, please sign up for the Shared Hosting Service and we will move your pandorabot to the shared hosting server. Create a pandorabot - After creating your account, follow the easy steps (find more details here) to create your own pandorabot(s). This can be as simple as cloning one of the free pandorabots we make available to you. When you publish your pandorabot, it will be assigned a unique bot id. You can connect your app to your pandorabot through the XML-RPC connection using your unique bot id. You will provide this pandorabot to customers of your application or service. If you are using the Free Community Server to host your pandorabot and it reaches its resource limit, the pandorabotâ€™s response will be changed to a message indicating that it is using too many resources on the Free Community Server. If your app begins to receive this message, please follow the above steps to create a bot on a Shared Hosting server. This year marks the third annual Chatbots 3.x conference to be held in Philadelphia on March 31, 2012. Building upon the success of Chatbots 3.0 and 3.1 and our earlier Colloquia on Conversational Systems, the Chatbots 3.2 conference brings together leaders in the chatbot field. Our speakers will present on a variety of topics in technology, law, business and research. The Chatbots 3.x conference has become the premier conference for chatbots, virtual assitants, and artificial intelligence avatars. This year promises to be an exciting year because of all the developments in mobile apps. Following the successful launch of Apple Siri in 2011, a number of projects are underway to develop alternative mobile A.I. assistants. Several of the presentations will describe these latest developments in mobile chatbot technology. Our co-host Francis Taney Esq. will once again give an "Ask the Lawyer" presentation. Those interested in submitting their questions are welcome to contact us (info@pandorabots.com) in advance, and we will forward them to Mr. Taney. This is a great opportunity to ask questions about business law, intellectual property issues, and the State, U.S. and International laws and regulations that affect the chatbot industry. As in previous years, the conference presentations will be videotaped and distributed on our Aimlinstructor Youtube channel. There will be an all-conference dinner on Saturday night in Philadelphia. Apple introduced Siri recently, and many developers are developing and deploying phone apps based on Pandorabots. We are currently making some configuration changes to improve performance. Meanwhile, if you are active in a chat bot forum, blog, or community, please help spread the word about the following information. If you are developing a phone-based app, please contact us at info@pandorabots so that we may explain our other service options. If you see your name near the top of this list (http://pandorabots.com/botmaster/en/mostactive), you should be contacting us. We have difficulty hosting very high traffic pandorabots on the Free Community Server. Wildly popular mobile apps using the Pandorabots free server (www.pandorabots.com) take resources away from many other botmasters and developers, who experience a service degradation. Because of resource constraints on the Free Community Server we intend to move popular pandorabots onto our subscription services (see http://pandorabots.com/static/html/ServiceComparison.html). One difficulty faced by the mobile developers is that their apps are â€œhard-wiredâ€ to specific bot ids on the Free Community Server. Because of the obstacles of the approval process required to push modified apps to the iPhone app store or Android Market, the transition to a different Pandorabots server takes time. A download app connected to a specific botid is quite likely to immediately fail, so the app developers must offer an upgrade to a new version when the transition is made. We have real problems contacting some of our users. This is especially true for some of the pandorabots in the current â€œmost popular listâ€. Pandorabots makes no attempt to verify the identities of people signing up for the free server. Unfortunately sometimes people use bogus email addresses for user ids, or in other cases botmasters lose access to their email addresses, and we are unable to contact them through the provided credentials. For this reason we are making this announcement to the broader community in the hopes that any botmasters we cannot reach will contact us. For some time we've been grappling with an issue involving the potential misuse of pandorabot content supplied by authors. And more recently, it has come to our attention that people developing chatbot-based phone apps are using other authors chatbots content. Access to the content is achieved through accessing the pandorabots published XML-RPC connection (or in some cases by screen-scraping HTML pages--though we discourage this technique). In some cases these are unauthorized and unwelcome accesses. The Pandorabots free community server at www.pandorabots.com experienced unexpected downtime yesterday, September 4, for about 14 hours. Although we have not completely ruled out a hacking attack as the cause of the outage, our engineers speculate the problem might have arisen from a Linux kernel bug. We are sorry for the downtime. The AIML Superbot is a blank template that helps you create a custom chat bot from scratch. If you want to create a bot with its own proprietary, unique personality, the Superbot helps you by providing a rich set of patterns that allow you to "fill in the blanks" with your own bot responses. Building a bot from scratch can still be a daunting task for those new to AIML and chat bot creation. That is why we are now offering 2 hours of free consulting time with your Superbot purchase. You will be able to talk directly by phone or Skype with Dr. Richard S. Wallace or another AIML expert and receive support and help with your bot project. Use your consultation time to get specific answers to all your questions about bot content creation and help with your project, including help linking the bot to speech recognition systems, avatars, speech synthesis and other third-party applications. Have you heard about Pandorabots premium subscription hosting services? This free server at www.pandorabots.com is home to hundreds of thousands of pandorabots. If you require more dedicated resources for your project, Pandorabots also provides some alternatives. Have a look at our Service Comparison Table to see if one of our subscription services fits the needs of your project. Pandorabots provides a (free) Community Server at www.pandorabots.com. This server is intended for botmasters to experiment with new AIML bots that use limited resources. The Community Server is home to more than 200,000 bots created by more than 150,000 botmasters. Pandorabots has served more than 1.2 billion interactions. Please remember you are sharing resources with all these pandorabots and their botmasters. The number of daily interactions exceeds 50,000 (Game Developers and others - please contact us at info@pandorabots for other arrangements supporting highly interactive pandorabots). The number of pandorabots created in your account exceeds 20. The amount of AIML in your pandorabot(s) exceeds 100,000 categories. The number of bot properties exceeds 200. In any situation where Pandorabots determines that your pandorabots are using too many resources on the free Community Server. We found an interesting and simple demo of speech recognition in HTML5 in this presentation on slide 25. To make the demo work with ALICE and Pandorabots, we had to make only a slight change to our custom HTML input files. Here is a demo of the Fake Captain Kirk bot using speech recognition: Talking Animated Fake Kirk with Voice Input. Note: The demo uses the Google Speech API. At the time of this writing, not all browsers yet support this attribute. We have found it works in Google Chrome. Furthermore, we have only tested it successfully with Windows 7. 1. Click on the little mic icon to begin speaking. The speech API will detect when you have finished speaking and, when it has finished processing, will display the text it detected in the text area. 2. If you are satisfied with what the speech API detected, click the "Send" button to transmit it to the bot. The quality of the speech recognition may not seem very high. There are a number of factors that affect the accuracy of speech recognition: the quality of the microphone, background noise, the accent of the speaker, the type of sound card on your computer and so on. Pandorabots has no control over the Google voice recognition software, but the results should be comparable to using the Google voice API with any other application. The Chrome voice recognition API may not be enabled by default. Follow these steps to create a shortcut to Chrome with voice recognition enabled. Create a desktop shortcut to Google chrome with copy and paste. (You may also want to rename this shortcut something like "Chrome Voice"). Right click on the shortcut and select "Properties"
Click OK and use this Chrome Voice shortcut to enable speech recognition.